An Atlantic puffin (Fratercula arctica) dives off the Látrabjarg bird cliff in Iceland in search of food. Millions of birds, including Atlantic puffins, northern gannets, guillemots and razorbills, breed on the cliff in the summer. 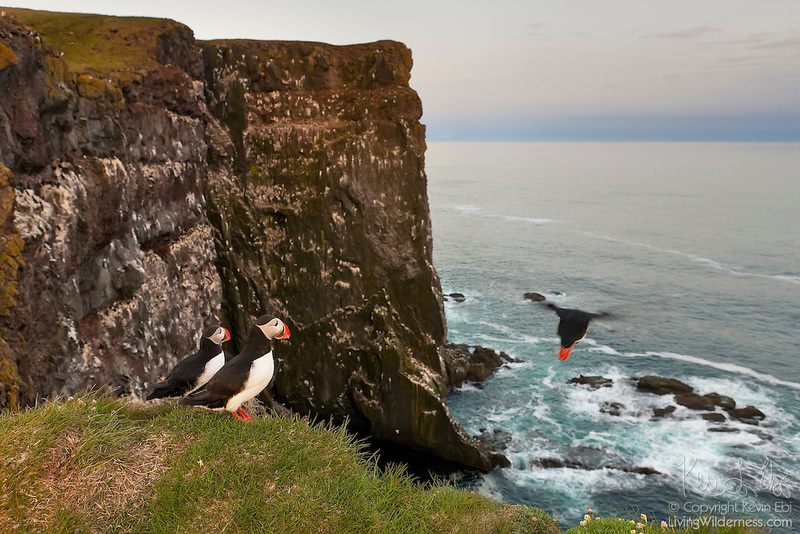 Látrabjarg is the western-most point in Europe and its largest bird cliff. It's 14 km (8.6 imles) long and as much as 440 meters (1,444) feet high.